I thoroughly enjoy making decisions. That might sound egotistical and give the appearance that I am someone consumed with power. To be clear, it’s not so much the act of decision making that excites me, it is the progress enabled by those decisions. And it’s not so much that I need to be the one making the decision, but that informed decisions are actually being made. I firmly believe that it is impossible to make progress without making decisions, and if we are not willing to make decisions, we will never progress. And saying “Yes” to progress by definition means saying “No” to other options. On the flip side, my wife likes to keep her options open. Her favorite part of the decision making process is not the decision, but the analysis that informs the decision. She analyzes all decisions from multiple angles and moderates internal debates before making a decision. She loves the analysis, yet finds discomfort in making the decision. Meanwhile, I am happy to have others do the analysis and thrive on making informed decisions. Yet another reason why we are a good match…she informs the decisions we make. The main reason she has trouble with the decision part of the equation is that she understands that when we say “Yes” to Option A, we simultaneously say “No” to Option B. She does not like closing doors and instead slides them from side to side to peak into the future that each choice represents. This is was somewhat comical to the both of us as we decided which automobile should replace the van that I totaled. When it comes to decision making, I tend to look entirely at the “Yes” side of the equation without giving a second thought to the resulting “No”. That is to say that I get consumed with the opportunity we are creating while paying little regard to the alternatives not chosen that will never see the light of day. And once I get to “Yes” there is no regret or “What if?” contemplation – my attention is focused on the progress that “Yes” represents and owning that outcome. Admittedly, I don’t always get it right…no one does. This last month has presented a slightly different reality in our house. You see, I have been mulling over two amazing opportunities for my next assignment. Though each was very different, both excited me tremendously. Each represented a once in a lifetime adventure and there was no chance that either one would be an option again. This was an either-or scenario and I didn’t want to be the one to close the door on either one of them. For that reason, and like my wife often does, I slid the door to the left to see the future of one choice and slid it back to the right to see an alternate future. I did that so many times in my head and through conversation that the futures blended together and I sometimes confused myself. My plan was to pursue both options, let the assignment process make the decision for me, and be excited about whichever path the Navy chose. Sounds somewhat cowardly, but I felt the approach was consistent with my commitment to not telling myself “No” to opportunity. As I was standing at the threshold, sliding the door from side to side contemplating life and waiting to be told where I would be going next, I began to visualize others confidently walking through that very doorway and taking the opportunities I was contemplating. For the first time in years, I was giving more thought to the door I was closing and the opportunity lost than I was the door that was wide open with my name on it. Suddenly, I realized that such an approach would be the surest path to missing out on both opportunities. I came to and promptly shut the door on one opportunity so I could make the other a reality. Some decisions in life are rather trivial, while others will dramatically change the trajectory of our adventure. Some we will leave to fate, some we will want to shape, and some we will have no control over, yet we move forward and accept the outcome of each. Life is continually progressing around us. The decisions we make will dictate how we progress as a part of it. 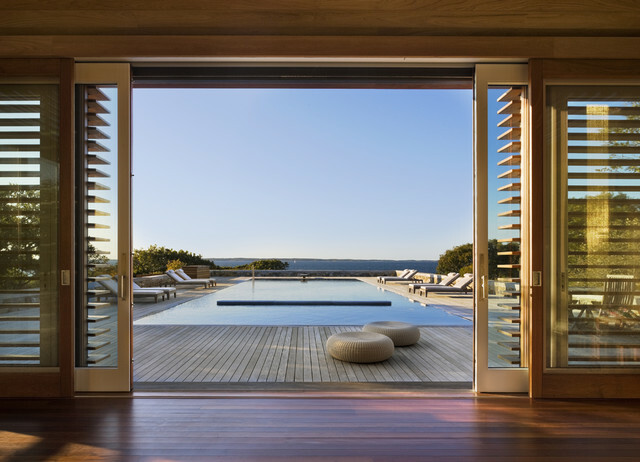 The sliding door scenarios are abundant – slide left, slide right, and jump through…own the outcome. Do you find that indecisiveness is slowing down your pace of progress? How challenging is it for you to say “Yes” to opportunity? Do you pay too much attention to the “No” side of the equation? Another insightful post, one that servicemen and women can relate to. Fortunately, more often than not, I have had multiple options when choosing a new job and destination along this journey. I have found myself analyzing every possible angle countless times before making decisions involving a change of assignment. We go through analzing what is the best option for the family. What would give me the opportunity to learn and grow technically and as a leader? I also consider the right career milestones as outlined by community leaders and mentors. However, I must say that once a decision is made, I rarely look back or second guess myself. I figure, there is no sense in wasting energy or becoming anxious about the “doors I’ve closed.” I rather focusing on the myriad of opportunities through the the open doors. My 27 years experience in the military has given me the confidence that regardless of the assignment, I will make the best of it, and at the end, the sum of the positive experiences, memories, friends and growth accumulated will always outweigh any negative ones.